A discussion erupted recently, on one of the various discussion groups i subscribe to, about deprecated features that are not really deprecated but more like, not encouraged when thinking about future applications moving forward in development time. 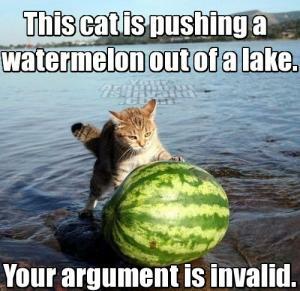 It's hard to explain in a definition, so a case in point is needed. The Application.cfm file is a ColdFusion construct as old as I can remember. It's not going away, but it is essentially feature complete. More recently, ColdFusion has given us Application.cfc. The capabilities that gives us are far above and beyond what a had previously, and developers are encouraged to upgrade their applications or at least use Application.cfc in their next projects. In this case, Application.cfm has been socially deprecated. Here's another one: Fusebox. It's not a language feature so much as a framework, but if your application uses Fusebox, your program is socially deprecated. Now my friend John is bringing it back, but for the past 5 years, if you have started a new app with Fusebox, you used a socially deprecated framework and your "cool kids" card has been revoked. using socially deprecated features and frameworks puts your application at risk for falling into technical debt. It's a slow roll down a long hill that will show in bugs that are never fixed, areas of the application that everyone avoids because they are afraid of causing errors, and eventually, lack of knowledgeable developers which will leave you stranded. The way to avoid social deprecation is to keep engaged with the developer community. 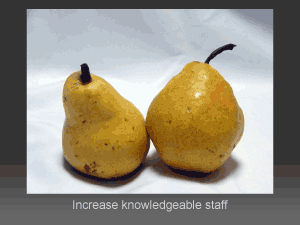 Read the blogs, engage in the discussion groups and visit the user groups. Can you think of anything else that's socially deprecated? I can think of a bunch of things. CFUpdate. Prototype.js. Old stylized code like capitalizing tag and attribute names. Php. Internet Explorer. CFPod. The list goes on and on. 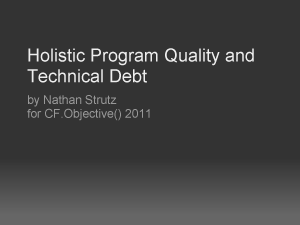 This month it looks like I'm presenting Holistic Program Quality and Technical Debt (HPQaTD? Can someone pronounce this for me? ), twice! If you haven't seen it yet, you have two chances in July. Tuesday, July 12, for the Denver CFUG and my friend John Blayter. Read about it and RSVP at The Denver CFUG's Meetup site. It's at 5:30 PDT / MST, or 6:30 MDT in Colorado. John ran the CFUG in Phoenix for a few years, and actually was my boss at Interactive Sites until he moved to Colorado. Thursday, July 14, for the Central Georgia CFUG and my friend Tim Cunningham. 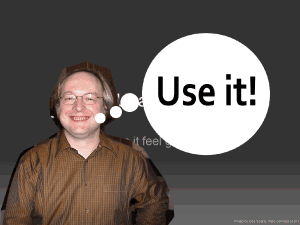 I have not met the user group manager Matt Abbott, but I warn you not to misspell his name. You can see the event and RSVP at The CGCFUG's Adobe Groups site. This one is at 3:30 PDT / MST, or 6:30 ET, Tim hooked me on to this as a trade in services for his presentation on Git at the June Phoenix CFUG. Both of these are remote presentations. If you want the address, you should follow me on twitter, where I tend to post only the most important subjects, and links to cool speeches. Thanks for the interest in my talk! I have been talking about my friend, who was in a technical-debt-pickle when he called me. Something else he mentioned over the phone was that the owners of his giant application were not keen on paying for anything but features. It's not surprising. In an agile project, work is done in sprints 1-3 weeks in length. Teams set goals for features they can accomplish in that time. When application customers hear about a refactoring sprint, it goes over like a lead balloon. "You want to work for 2 weeks and not add features?" Like Oracle and open source, they just don't get it. So what do you do when you can't get a budget for fixing the last decade of technical debt build-up? I gave him my best advice, and some of my points leaned toward subverting the wishes of uninformed management and customers. Without putting your job in jeopardy, I think this is something you have to do sometimes. But how do you do it? How do you pay down some of the technical debt principal when managers say no? First, you need to have the technical debt conversation with the customers & owners. Help them realize that by allowing this debt to live on, they are perpetrating higher interest payments in IT man hours. No sane management group would deny you the time you need, however, I know that a lot of companies are run by the most insane people. Shot down or passed over from there, you have to pad estimates. You have been estimating high anyways because of those technical debt interest payments where it takes half of your time trying not to break other modules, finding the right files to copy and paste, or trying to remember how to use the terrible API left by some former employee. Pad higher and take that extra time to fix some of the bigger problems. I find that, when I get myself fully in to a program, where I can feel it breathe, I start to dream about it. It's is a good thing. All my best system thinking tends to happen while I'm reading a book. Offline, I discover the pattern and identify new objects that will help me jump that next hurdle. At work the next day, I merely have to type what I envisioned. 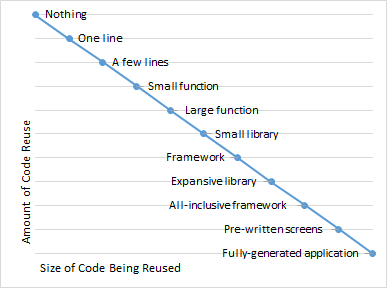 Refactoring doesn't take a lot of time, it takes better thinking. A little padding and some daydreams will get you there. You may be able to add this padding to each release cycle, agile or not. Call it unit testing. Call it the software release time, call it the cycle preparation time, call it quality insurance. No reason to lie about it being there. Also, no reason to share the gritty details of what's being done. With limited refactoring time, it's ok if a refactor project is stalled halfway through. When I leave one and pick it up again, I find that I have newer, better ideas. Going back to the people you report to, I would point out my review of my friend Terrence Ryan's book Driving Technical Change, which really seems to fit the bill here. The final way to subvert the authority for the betterment of all, and goes along with the golden rule of technical debt (keep it visible! ), is to bring it up, often. It's easy to ignore a dog waiting patiently by the door, but when it keeps yapping, you'll want to let it out. It's easy to say no to some engineers who want to run an expensive project, but if they just won't shut up about it, it becomes easier to say yes. Once, my team begged the CEO of our small software company to rewrite an app. Then we begged some more. Then we begged some more. We pointed out problems, we started to shout it from the cube-top, and eventually, he gave in. It works. I don't think this list is exhaustive by any means. Does anyone want to share their experience or ideas? Technical Debt - it's still a bad thing, right? So I was trying to tell the story of my friend who called me up a few weeks back. I got distracted by the question of should you even try to avoid technical debt. Like I said, he has a lot of technical debt. Remember that technical debt is a way of describing certain problems in programming. 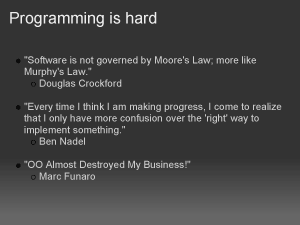 See, there I get stuck on another question: Is technical debt even bad? Is it really just problems? I mean, it is, right? It represents a hole in our program that needs to be filled. The truth is, technical debt isn't the problem, your application is the problem. Technical debt is just a metaphor. Of course no metaphor would be so damaging if it were only a figure of speech. The phrase "technical debt" is actually very valuable. The real strength lies in its ability to cross boundaries, into management and ownership and finance. Back in the land of nerds where I dwell, where technical debt has a face, it describes a gap, not necessarily a problem. It's the distance between a perfect application and an app that basically mostly sort of kind of works. Debt is the effort that will get me where I want to be. My first car was a 1989 Geo Metro. Stick with me here. I wanted a Lamborghini. I got a Metro. The Metro got me across town, and those 3 cylinders had to work overtime, but there was a noticeable gap between my Metro and the V12 I was hoping for. Will I ever get that Lamborghini? I don't want to make the effort to come up with those payments, and I don't really need to go 0-60 in 3 seconds - I can't imagine what good that would do. Will I ever get my application perfected? I don't want to put in the untold hours and make the sacrifice to remove every ounce of debt from my system, and it's ok if there's room for improvement - I can't imagine not having a little room. Maybe the real goal should be something in the middle, where it's affordable and has enough cup holders. Every application is different, and every working environment is different, but almost none of us are going to get that Lamborghini. My friends, make your applications a Camry or an Explorer. Something that's nice but not impossible. I'll try to pick up the conversation with my friend next time.